NYC bathroom with the best view, J.Crew sample sale insanity, and other bits and pieces from around the NYC web. 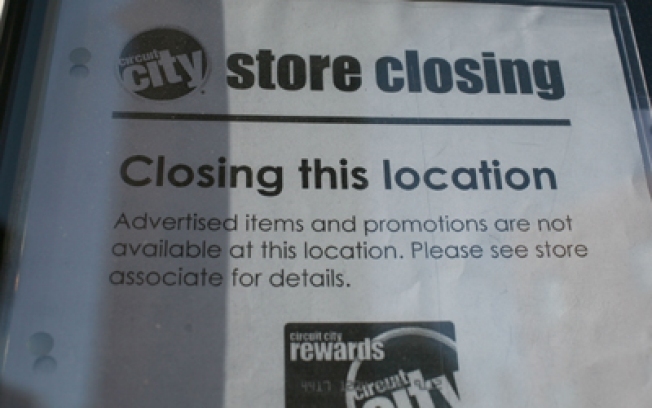 Circuit City outlets around the city are liquidating everything as the chain goes out of business. It's been mere hours (or a couple of days) since Circuit City starting its mad going-out-of-business discounts, but shelves are already looking bare. Is this the bathroom with the best view in all of New York? Remember the murdered broker? Her Fifth Ave. apartment is back on the market. Awesome feng shui there, we bet. Over at Barneys, Simon Doonan got swept up in inaugufever and wrangled an impromptu window change in honor of Michelle Obama's Toledo dress. The J.Crew sample sale on W. 36th St. has something for everyone! As long as you're a size 6. Today's your last chance to win David Byrne tickets, courtesy of Time Out. The Brooklyn Steppers strutted their stuff at the Inaugural Parade - in case you missed it. The Brooklyn Historical Society's exhibition "The Disappearing Face of Brooklyn's Storefronts" has been extended through the end of March. If you haven't seen it, go now.